The balmy Summer has been gobbled up by a new cooler season which promises to excite and challenge our sensibilities. It will be difficult to top last Autumn’s Museum exhibition programme: Picasso, Modigliani and Soutine to name three. However, this year living artists abound and there is (projected) light at the end of the gallery tunnel. This year’s Turner Prize nominees include four artists who utilise moving imagery to create four diverse works of art. At first glance, it all looks a bit samey, as Tate Britain is transformed into a monochrome multiplex cinema. The works are, as expected a bit too earnest for my taste. Their political messages numb the senses and come off as trying too hard to create a valid relevancy. The Turner Prize was created to test our perceptions of what visual art is all about in Britain today. This year’s nominees are: Forensic Architecture, Naeem Mohaiemen, Charlotte Prodger and Luke Willis Thompson. The moving image-heavy shortlist will take some time to digest. There are four film/video artists this year so be prepared for a long stay in a dark room with uncomfortable grey carpeted benches. Two films, by the same artist, are over an hour and a half long (each) Patience my friends. The exhibition clearly lacks a balanced overview of disciplines. 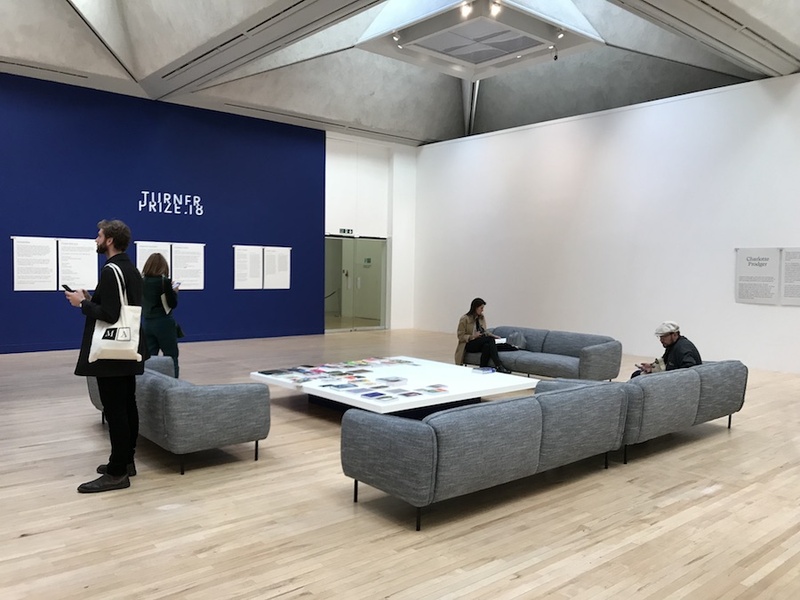 An unsuspecting member of the public might get the impression that painting, sculpture and installation art, which the Turner has been heavy on in the last few years, no longer existed. This year’s exhibition will not be for everyone but it does have some redeeming factors, if you let yourself open up to the work on display. 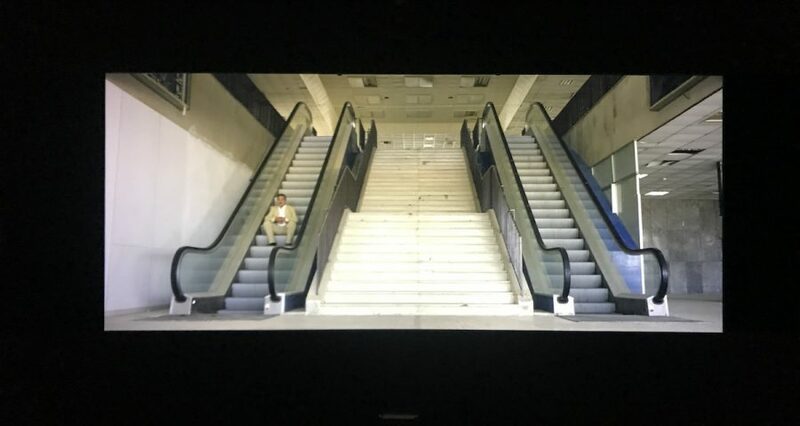 Forensic Architecture, the bookies favourite is a collective of architects, researchers and filmmakers based at Goldsmiths College in London. Their work visualises evidence relating to global human rights abuses. They have been nominated for their exhibitions at the ICA, London, MACBA Barcelona and MUAC Mexico. Their video explores the destruction of a Bedouin village torn down to make way for a an Israeli settlement. 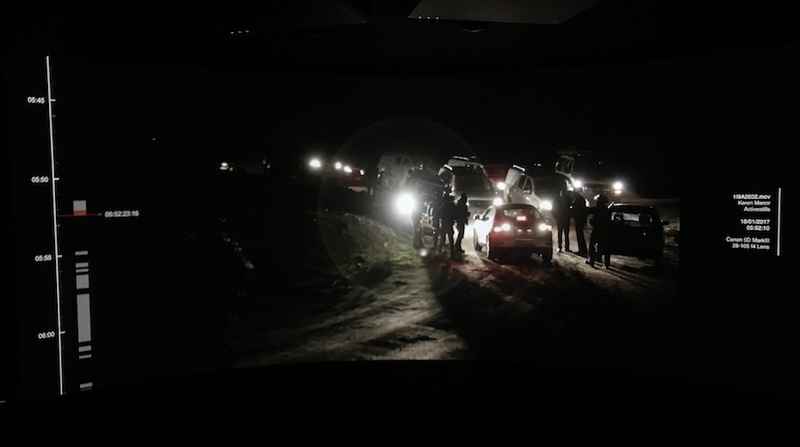 The action takes place on a curved wall/screen while the iPhone style hand held footage jumps along fading to black and then flashing like a flickering fire. All with a soundtrack of shouts, screams and interview dialogue. I don’t know if this wouldn’t more at home on Channel4 than in a gallery. Naeem Mohaiemen was born in London but based in Dakar and New York. 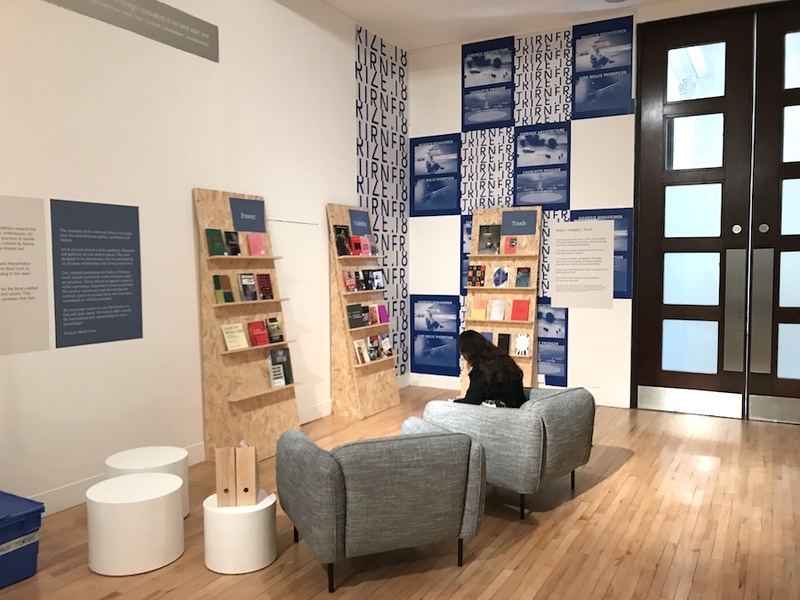 The work was shown in both the Athens and Kassel iterations of Documenta, as well as being the subject of a solo show at MoMA PS1 in New York. It reflects on history and the place of individuals within global narratives. I actually quite enjoyed the story behind this work. It follows the story of a Palestinian man who loses his passport and winds up in a ‘The Terminal’ (film) scenario in a Greek airport. You follow the narrative of what it feels like being nationless, as you progress through two frustrating weeks with the Palestinian and Greek bureaucracies as they deal with the process of issuing a new passport, while the main character rattles around an airport. Charlotte Prodger is a Glasgow-based video artist whose work deals with identity and place. Charlotte has been nominated for her solo exhibition at Bergen Kunsthall. Prodger who recently won the Paul Hamlyn award uses an iPhone as an appendage to create landscapes which are shifting subjectively. She explores queerness through community, technology, language and loss. Scottish artists have been the most nominated nationals for this coveted prize so who knows maybe this is Prodger’s year. 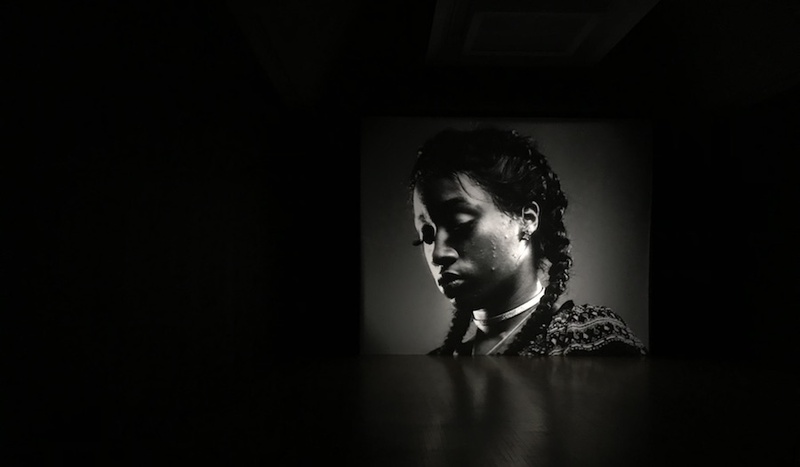 Luke Willis Thompson is a London-based New Zealander nominated for his show at the Chisenhale, London, in which he exhibited a silent filmic portrait in black and white of Diamond Reynolds, the girlfriend of Philando Castile, who was killed by Minnesota police in 2016. Thompson makes reference to works such as Andy Warhol’s black and white screen tests from 1964-1966. Auto portrait was produced during his residency at the Chisenhale Gallery in 2016-2017. For me this work is the most visually successful of all the candidates on offer. The jury this year brings together Elena Filipovic, director of Kunsthalle Basel; Lisa Le Feuvre, executive director of the Holt-Smithson Foundation; Tom McCarthy, novelist and visiting professor, Royal College of Art; and ArtReview’s international editor Oliver Basciano. Each nominated artist will receive £5,000, with the first prize winner announced in December, receiving an additional £25,000. The prize is open to British-born or -based artists. In 2017 the upper age limit of 50 was removed, though, at 49, Mohaiemen is the oldest artist in contention this year. 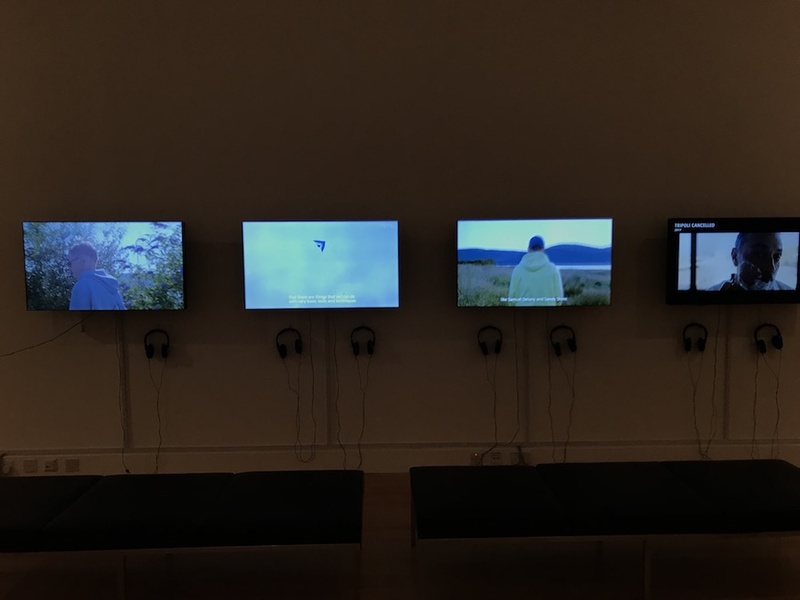 The exhibition for the Turner Prize 2018 shortlist opens to the public at Tate Britain on 26 September – 6 January 2019. The prize will be announced at a ceremony on 4 December.